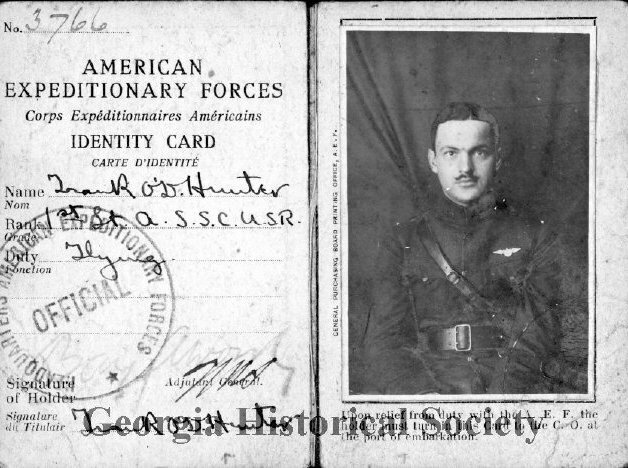 It is estimated that 4,355,000 Americans were mobilized during World War I. Frank O’Driscoll Hunter was one of those millions who served in the United States military during World War I. While serving in Europe as a first lieutenant in the Aviation Signal Reserve, Hunter received the following decorations for extraordinary heroism: Distinguished Service Cross with four oak leaf clusters, Croix de Guerre with Palm, and the Purple Heart for wounds received in combat. He shot down eight enemy planes for which he was named an Ace. Hunter also served during World War II, rising to the rank of major general in November 1943. He was the only living American to have a military base named in his honor, Hunter Army Air Force Base in Savannah. GHS is home to the Frank O’Driscoll Hunter Papers, MS 2330. 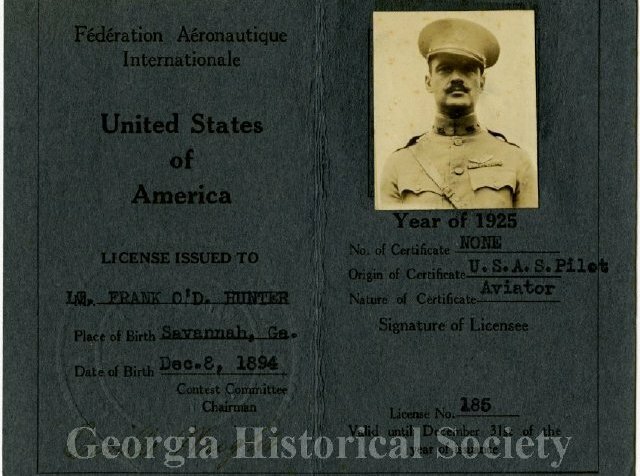 The collection, which contains personal correspondence, official military records, photographs, and artifacts, sheds light on the life and legacy of one of Georgia’s veterans. How will you commemorate Veterans Day in your classroom this year? The Society of American Archivists has started a nationwide campaign encouraging Americans to visit archives to gain insight into wartime experiences from the American Revolution to present. On Veterans Day, and throughout the year, introducing your students to primary sources from archival collections, like the Frank O’Driscoll Hunter Papers, will help shed light on the life and service of veterans and will encourage critical thinking and analysis. 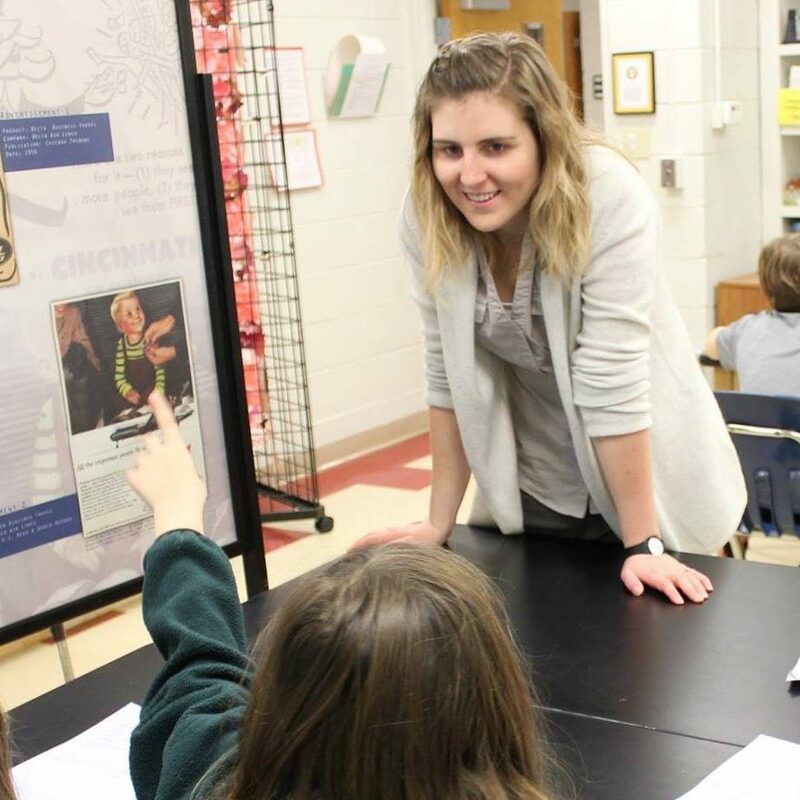 There are many excellent digitized primary sources available from collections across the country, but there are also many letters, memoirs, and other treasures that students can only experience by visiting an archive in person. 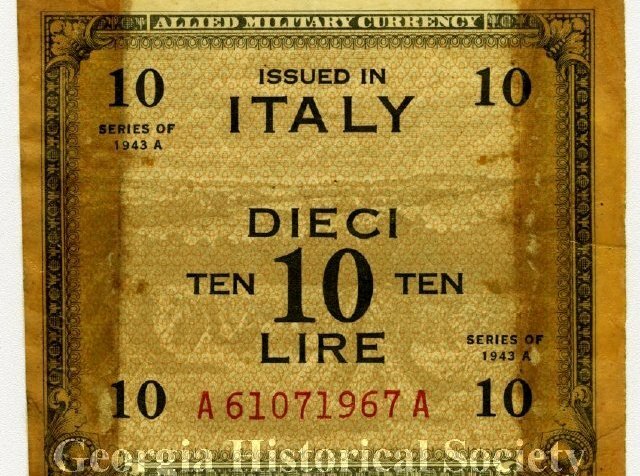 Use the guide below to discover Veterans Day resources at the Georgia Historical Society, Library of Congress, and more. Frederick William Mingledorff, Jr. Family Papers, MS 1991: This collection contains military papers and memorabilia of Fred William Mingledorff, Jr. and Fred William Mingledorff, Sr. dating from circa 1918 to the 1940s. Military materials include photographs of the Mingledorff’s units, photographs of soldiers landing on Guam on D-day, World War I era postcards of France, and WWII correspondence. John N. McLaughlin Memoirs and Photograph, MS 2330:This collection contains the memoirs of Lieutenant General John N. McLaughlin from 1965 to 1991. Within these memoirs, McLaughlin offers a detailed description of his experience as a prisoner of war in North Korea. Lois Norvell Dozier Papers, MS 1690: During World War II, Lois sent and received letters from men and women in military service. most of her correspondents were students form Georgia Evening College. 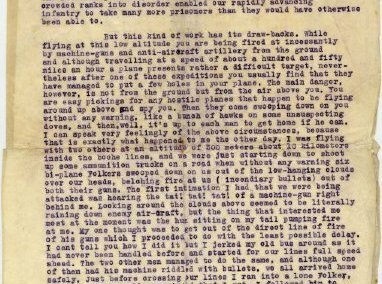 Once a month, Lois published a newsletter providing information about the soldiers with whom she corresponded. In 1947, Lois served as chairman of the Office of Price Administration Information Panel in Newnan, Georgia. John C. Bell Letter, MS 314: In 1952, John C. Bell, of Claxton, Georgia, was stationed in Japan as part of the U. S. defense of South Korea. On August 22, 1952, he wrote to his grandfather, Elder John B. Glisson, discussing how the lessons his grandfather taught him and his spirituality were helping him cope with his new situation. Atlanta History Center’s Veterans History Project. The Atlanta History Center (AHC) Veterans History Project seeks to collect oral histories of American war veterans who served in World War II, the Korean War, the Vietnam War, the Persian Gulf War, the Afghanistan and Iraq conflicts, and civilians who served in their support. 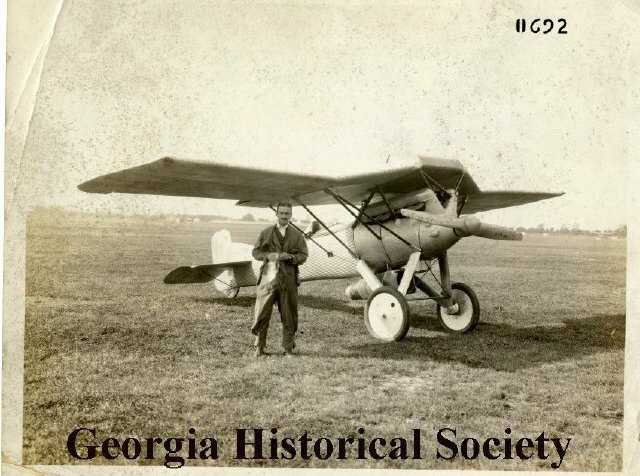 GPB’s World War II Veterans Oral History Project uses letters, photographs, and full-length video to tell the story of men and women from Georgia whose lives were touched by the war.